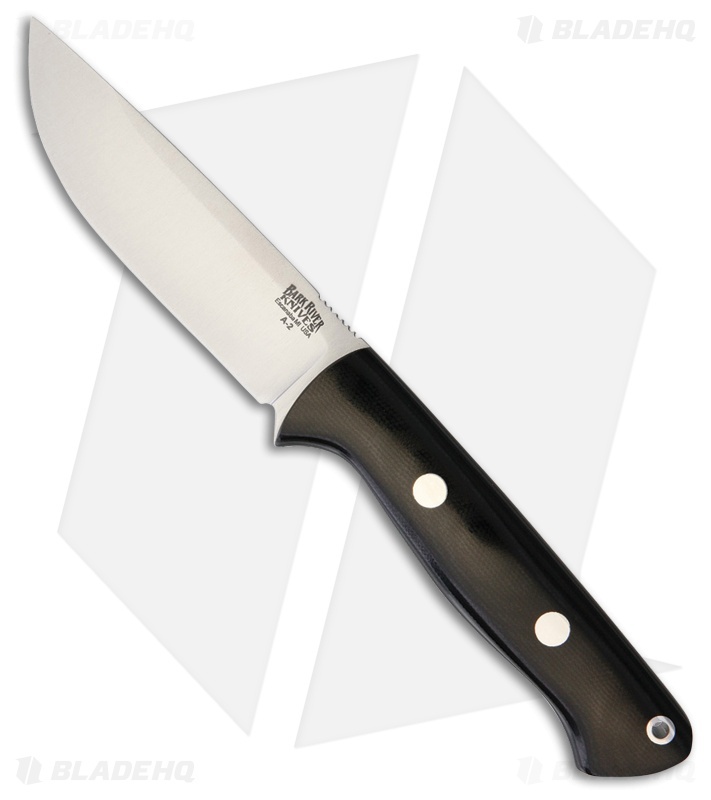 The sporting version of the classic Bark River Bravo 1, the Bravo 1 Field designed with feedback from users, results in a well balanced black micarta hunting knife sure to serve for years. While maintaining the dimensions of a standard Bravo 1, the Bravo 1 Field with it's rampless drop point blade features a saber ground convex cutting edge. Ergonomic contoured micarta handle scales with pinned construction results in a sturdy, robust and reliable knife. Lightweight and durable, the Bravo 1 Field is nimble in hand, even while taking on larger cutting tasks. Conveniently carry with the included hand made leather belt sheath.